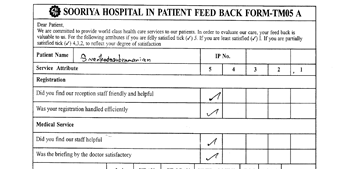 Sooriya hospital provides accommodation for all sections of society depending upon their affordability. The wards are very spacious with broad corridors, well lit with proper cross ventilation. 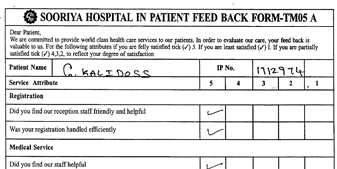 There is immediate access to the staff for constant supervision and timely assistance. Well trained nurses are up on their toes for any assistance at any time. 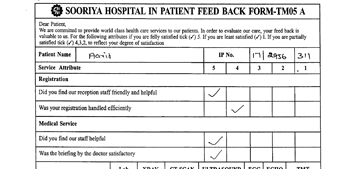 In spite of the medical facilities and pleasing staff, the hospital premise is very quiet for much needed rest. 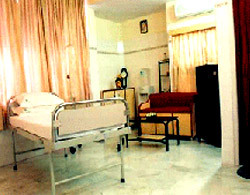 Thus, the hospital ensures comfortable experience during ones stay in the hospital.